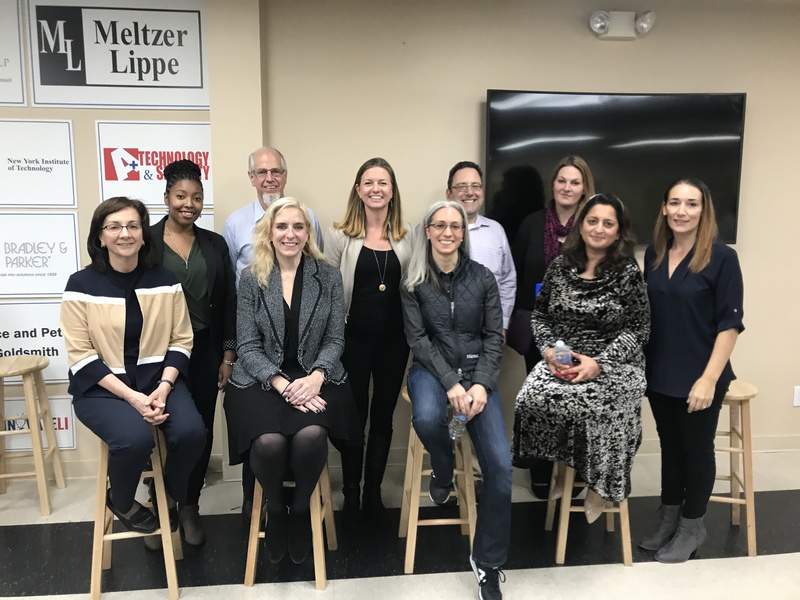 Over 60 people packed out the LISTnet Digital Ballpark on November 1st to welcome top tech leaders speaking on the latest trends in technology and how their industries are adapting. From retail to healthcare, to food production, to autonomous vehicles, the discussion shed light on how the latest technologies like blockchain, artificial intelligence, machine learning & data science are affecting our everyday lives and the trajectory of the industry. Our moderator, Long Island Women in Tech Director, LaShana Breland took the discussion from the latest tech trends, to how our panelists are adapting both professionally and personally. The conversation continued to share predictions for the next steps in the Digital Revolution. Panelist, Barbara Porter, Chief Technology Officer of FragranceNet/Fragrance.com shared how her team has been using data and a mobile first perspective to shift their business model to compete with large online retailers like Amazon. Her teams success is a product of a customer first attitude with a low cost model. Her company is focused on keeping prices low and staying competitive outside of the big named retailers. Their global expansion is a testament to this logistics and cost challenge. Over 60 people packed into the LISTnet Digital Ballpark to learn more about the latest tech trends from senior leaders in the industry. Judy Murrah, CIO at Applied DNA Sciences explained how consumer trust is a huge trend that is fueling the technology in her industry. The “mega trend” that she’s focused on is that consumers want to know where things come from and despite all the tech thus far like RFID’s and tagging, there is a disconnect from raw materials. Her company is working to put identity to those raw materials using DNA sequences. By imbedding the DNA sequence within the raw materials, one can determine their true origin. This is applied to many industries including food, supply chain, clothing, etc. IBM Watson expert, Sheetal Rishi, talked about how data science is democratizing information. She cited Amazon’s prediction algorithms as an example of AI headed in the right direction where they are at about 5% accuracy giving the company a 1 in 20 chance to figure out what you will buy when on their platform. Sheetal feels that through AI and ML, and the freedom of data, the future will allow for everyone to have access to good decision making technology such as what is available to the Amazon and Netflix’s of the world. Senior Maverick at Zebra Technologies, Nicole Daphne Tricoukes, thinks we’re in the middle of a rough transition in this 4th Industrial Revolution with rapid changes across all verticals. “The largest change in my industry is that manufacturers are disappearing.” Nicole says there is a gap in hardware manufacturing where the actual builders and designers of physical products that can’t be delivered with software alone are missing from the industry. The next wave of smart cities, smart devices, artificial reality and durable field devices haven’t been build yet and this has a huge potential for upside in the next 10 years. There are tons of insightful tidbits in the discussion that is now posted on our Facebook feed. If you were at the event, be sure to comment below and tell us what you thought. Thank you to all our sponsors and LIWiT Directors for helping us continue to run events for free for all Long Island Women in Tech members.